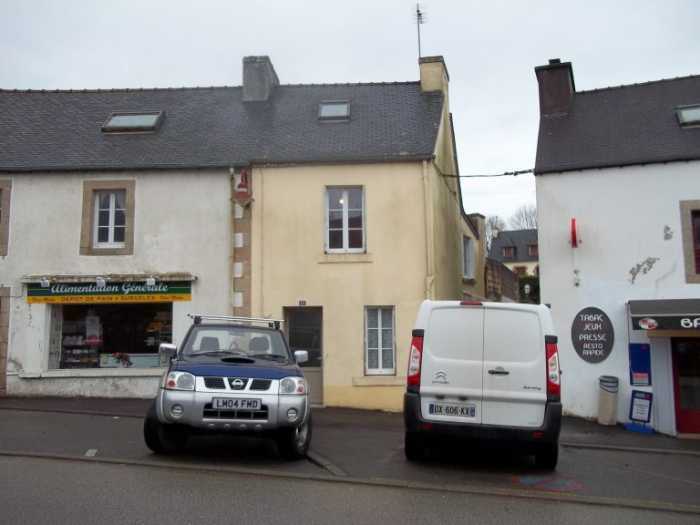 Properties for sale in Brittany, France - AHIB-3-M2217-2914981 Nr Carhaix-Plouguer 29270 A renovated 2 bedroom house in a lovely little village, perfect for the holidays! Located in a charming little village, close to the necessary shops, this house will surprise you by the nice habitable surface it offers. It has been recently renovated inside, there is just some cosmetic work to finish. The structure is in good condition. On the ground floor: the main room, quite spacious for a nice lounge with open fireplace (this is a bright room), a large kitchen with a door opening onto the side street, it is a basic kitchen at the moment with a fireplace, but it is possible to have a dining area. Further, a very large bathroom with shower and WC. On the first floor there's a good-sized double bedroom with an original wood floor and a second bedroom a bit smaller. On the top floor there's an attic which has been insulated. Double glazed windows throughout, electric radiators for heating, good electricity, and connected to the mains. On the side of the house is a very small room presently used as a utility room. There is no garden. It is the perfect house for a holiday home, you just have to finish it according to your taste for the decoration. 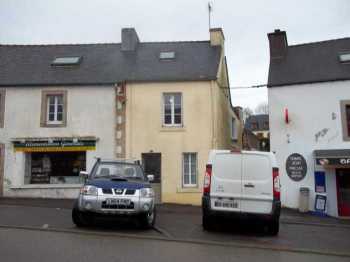 The village is very pretty and it is only a 15 minute drive from a town and also very close to the Nantes-Brest Canal! This is a very good deal, don't miss it!